Teddy stuffs face doing maximum damage to the opponent....in the real world. This attack damages 10 of your opponents cards that are in play. Teddy must recharge the next turn. Teddy makes a funny face and your opponent bursts out laughing. 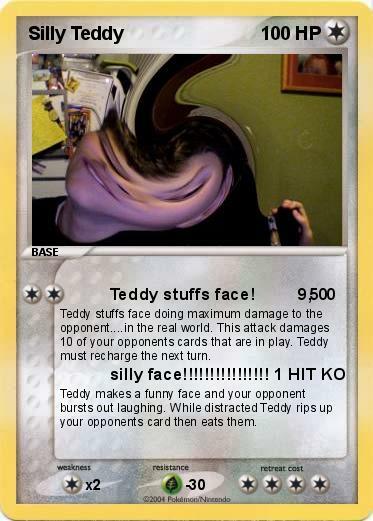 While distracted Teddy rips up your opponents card then eats them.